Award-winning musical The Bodyguard, based on the hit 90’s film starring Whitney Houston, comes to Birmingham Hippodrome from Wednesday 5 August to Saturday 5 September for an extended run, due to its popularity with Birmingham audiences. Produced by Michael Harrison and David Ian and directed by Thea Sharrock, The Bodyguard features a host of irresistible Whitney Houston classics including Queen of the Night, So Emotional, One Moment in Time, Saving All My Love, I’m Your Baby Tonight, Run to You, I Have Nothing, I Wanna Dance with Somebody and one of the biggest selling songs of all time – I Will Always Love You. 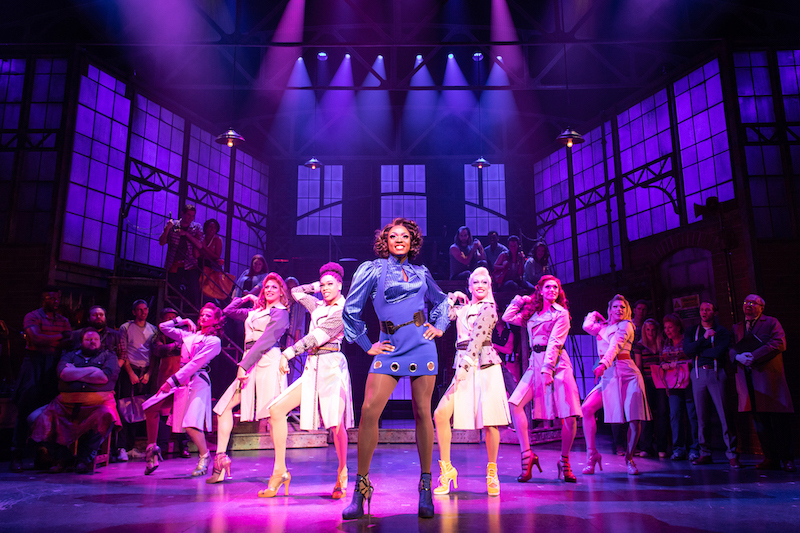 Joining Alexandra Burke as Rachel Marron and Zoe Birkett as the alternate Rachel Marron will be: Stuart Reid as Frank Farmer, Melissa James as Nicki Marron, Mensah Bediako as Bill Devaney, Adam Venus as Sy Spector, Siôn Lloyd as Tony, Mike Denman as The Stalker and Glen Fox as Ray Court. Alexandra Burke rose to fame after winning the fifth series of The X Factor. Her debut number one single Hallelujah sold over one million copies in the UK, a first for a British female soloist. Burke’s first album, Overcome saw the release of her subsequent number one singles Bad Boys and Start Without You. In 2011 she embarked on her first solo tour and was invited by Beyoncé to support her I Am… Tour. Her second album, Heartbreak on Hold, was released in June 2012 and later this year sees the release of her third studio album. Zoe Birkett is probably best known as the highest placing female contestant in ITV’s Pop Idol, 2002. Since then she has appeared in the West End productions of Priscilla Queen of the Desert and originated the female lead in Thriller Live. Her other theatre credits include the Acid Queen in Tommy and Maureen in Rent. Stuart Reid appeared in the West End production of The Bodyguard at the Adelphi Theatre. His other theatre credits include the international tour of Mamma Mia! and the UK tours of Grease and Guys and Dolls. Melissa Jamesmost recently appeared in Guys and Dolls at Chichester Festival Theatre and has also appeared in the UK and European tours of Cats. Mensah Bediako’s West End credits include One Man Two Guvnors, Clybourne Park and Piaf. Adam Venus has appeared in many musicals. 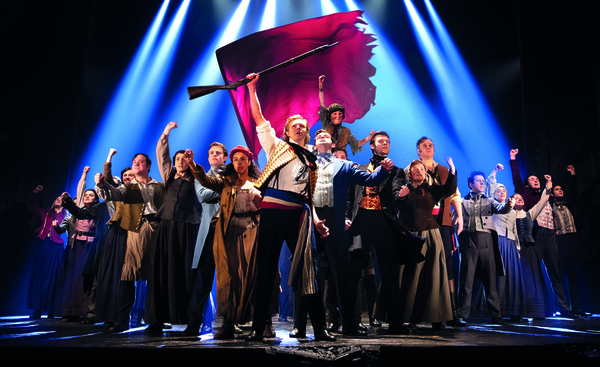 These include Annie Get your Gun at the Young Vic and Company at the Southwark Playhouse. Sion Lloyd’s many West End theatre credits include The Pajama Game, Avenue Q and The Full Monty. Mike Denman has appeared in many West End musicals including The Wizard of Oz, Chicago, Thoroughly Modern Millie, Never Forget and most recently Matilda. Glen Fox has appeared in The Honourable Woman for the BBC and his stage credits include A Midsummer Night’s Dream. The Bodyguard runs at Birmingham Hippodrome from Wednesday 5 August – Saturday 5 September. Tickets are priced £18.00-£49.50 and can be booked on 0844 338 5000 or online at www.birminghamhippodrome.com Perf times:Mon-Sat eves 7.30pm; Wed Mats 2pm (excluding 5 August); Sat Mats 2.30pm. Thursday 6 August Mat 2pm. 5% transaction charge applies (excl. cash sales in person) postage from £1. Phone calls from 5p per minute. Prices and discounting subject to change. Access performances: Captioned Thu 20 August at 7.30pm; Signed Wed 19 August at 7.30pm; Audio Described Sat 22 August at 2.30pm. Alexandra Burke will not be appearing in weekday or weekend matinee performances of The Bodyguard and will not appear in Fri 21 and Sat 22 Aug performances. At these performances the role will be played by Zoe Birkett.